Sunday, September 6 is national Read a Book Day. Over the summer, ninth graders in Critical Reading and Writing I traveled through time immersed in a memoir by author Geraldine Brooks, titled “Foreign Correspondence.” Especially appropriate for a summer reading assignment, the book follows Brooks’ in her adolescence in Australia, enlisting and communicating with pen pals from around the globe. Offering a window into the worlds of young people in the Middle East, Europe, and America, her pen pals experiences inspire her own travels to New York City to become a foreign correspondent. 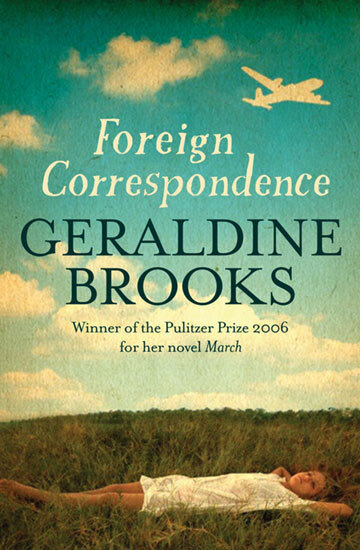 Later returning to Australia to attend to her dying father, Brooks rediscovers her old pen pal correspondences and embarks on a trip around the world to the same places that only her fingerprinted envelopes had met before. Back at HB, this month the students will be conducting their own pen pal project beginning this month, similar to the tales in “Foreign Correspondence.” In an effort to more closely connect the Global Scholars and Humanities curriculums, freshman English students at HB and at Robert College in Istanbul, Turkey will write a collection of memoirs that serve a type of journey in their lives in which they grew and learned. They will begin an online interaction involving email, video, and the use of the Haiku website to create Wikis in which they undergo a structured critique of each other’s posted essays. But the learning reaches even farther than that. “There is also somewhat of an ESL/Cultural Exchange here in that the Robert College kids are not fluent, yet, in English, but curious about communicating with American kids,” said Upper School English teacher, Michael Ciuni. Student Maya Razmi ’18 participated in the project last year. Previous Post Food for Thought: What’s for Lunch?